The success of the Wild Atlantic Way, and new plans to attract 175,000 Chinese tourists a year to Ireland show how proud Irish people are in our tourism sector. Tourism was almost non-existent until the 1960s, but today it accounts for just over 10% of global GDP. With cheap flights and increased disposable income, tourists are proving impossible to keep away. Tourism promotes Ireland as a country, raises awareness of Irish culture, wins Ireland friends on the international stage, and is a major source of foreign revenue. On the other hand, many Italians now resent the place of tourism in their economy and the presence of tourists in their cities. 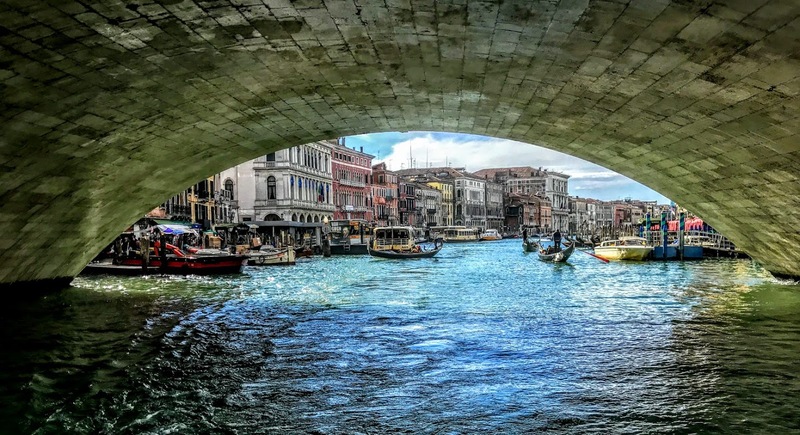 Last month, in an effort to stem the rising tide of visitors, Venice announced a plan to charge a €10 entrance tax for day-trippers, and the Mayor of Florence is considering something similar. Two years ago, the Cinque Terre region in Liguria introduced a ticketing system to limit the number of tourists to 1.5 million a year. 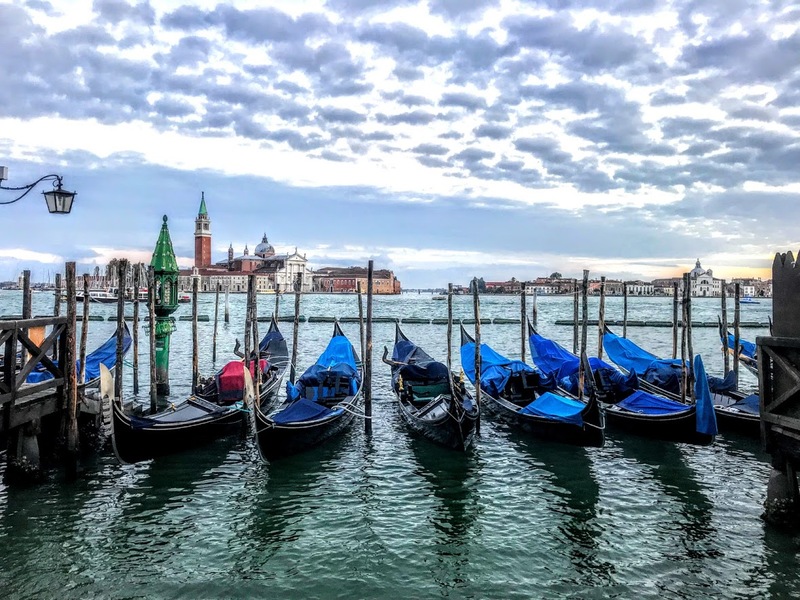 Perhaps Italy is a victim of its own success – it is the fifth most-visited country in the world, and with 52.4 million tourists a year it can no longer cope. But the problem is not just numbers. Many people also resent the crass superficiality of visitors who wander around with selfie sticks, as keen to see themselves in a city as to see the city itself. The scorn for tourists has been created by environmental damage caused by the growing number of cheap flights, the increased popularity of cruise ships and the damage caused by litter, erosion, vandalism, congestion, pollution and climate change. This scorn becomes a lethal cocktail with the added ingredients of racism and xenophobia introduced by far-right activities, so that foreigners, tourists, migrants, immigrants and refugees are all put together in the minds of the mindless. Tourists, for their part, often feel welcome only because they are cash cows. There are regular reports of tourists claiming they have been overcharged for a coffee in Saint Mark’s Square and signs throughout Venice warn them against eating in public. 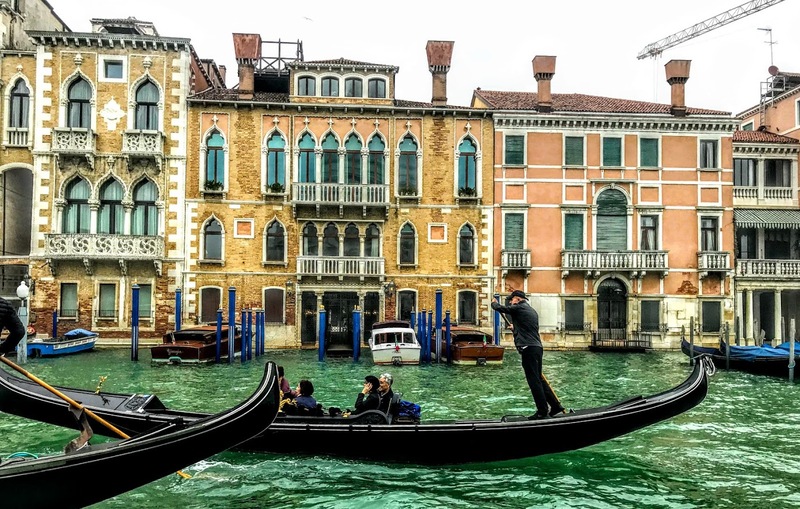 The new Venetian tax is less likely to cut tourist numbers and more likely to increase the resentment among tourists who feel exploited and welcome only for their money. Indeed, turnstiles at the city gates may only increase the impression that Venice is just one more large theme park rather than a living city, with real-life inhabitants and pressing problems that need sympathy as well as money in the search for a solution. A study by Kiel University shows projected sea-level rises for the Mediterranean may affect the 49 Unesco World Heritage sites. The most threatened are on the Adriatic coast: Venice, Aquileia, Ravenna and Ferrara, followed by the episcopal complex at Porec in Croatia. The list also includes coastal sites in Tunisia such as the Medina of Tunis, Carthage and Sabratha, as well the Amalfi coast, the Roman city of Arles, the Greek temples south of Naples, the crusader city of Acre, ancient Ephesus and Tel Aviv. According to the study, published in the journal Nature, the highest number of sites at risk is in Italy (14), followed by Croatia (7) and Greece (4). In addition, almost all the Aegean coast of Turkey with its important Hellenistic sites is also in the higher risk range. However, turning knowledge into effective action is a lengthy and fraught process, as shown by the long-delayed and incomplete actions of the Italian government to protect the city of Venice. 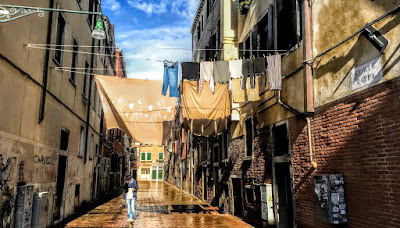 Venice floods frequently, sometimes to considerable depth. Flooding begins at 80 cm, and shortly before I visited late last year, the water level reached 156 cm above the base rate established in 1871 at the Punta della Salute Observatory. 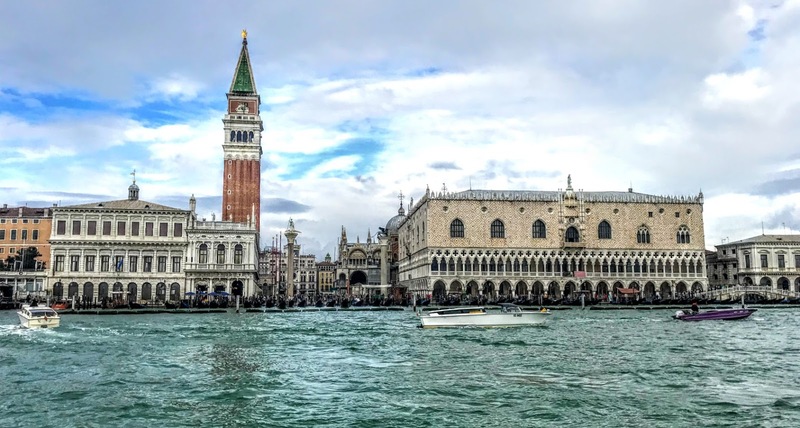 The report puts Venice in the highest risk category because of both erosion and sea-level rises, with storm surges of up to 2.5 metres projected by 2100. 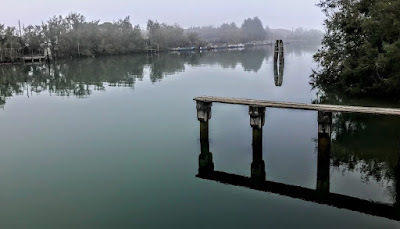 Erosion is caused by the lagoon losing sediment into the Adriatic with every low tide, while the water level in the city is already 30 cm higher than in 1871. 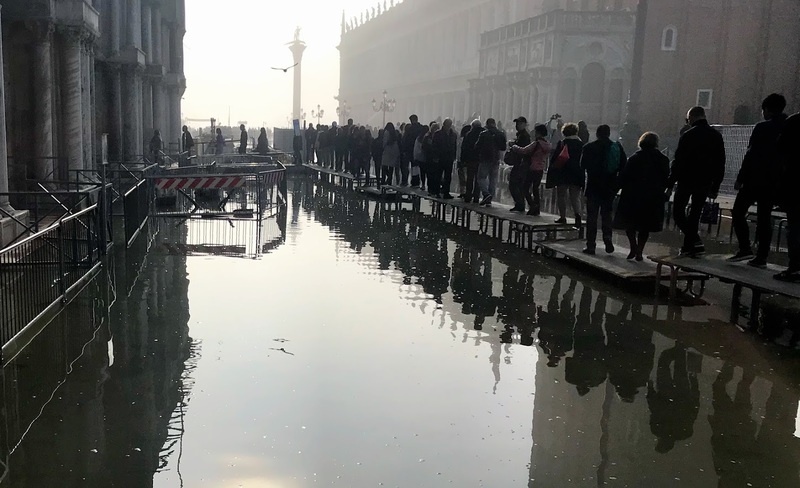 The report says Venice will be protected by mobile barriers intended to withstand an exceptional flooding event of up to 3 metres. They are expected to be in place in 2021, but even then they are 10 years late. 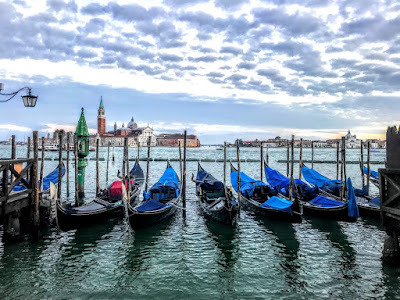 Nor can they save Venice from the chronic rise in sea-levels that will lead to flooding at every high tide by the end of the 21st century unless the barriers are kept almost permanently closed – and this, in turn, will cause serious pollution in the Lagoon. Meanwhile, Venice is drowning. For days before my visit last November, daily news reports showed Saint Mark’s Square covered in high waters, with tourists using duck walks or wading through the acqua alta up to their hips or even up to their waists in water. 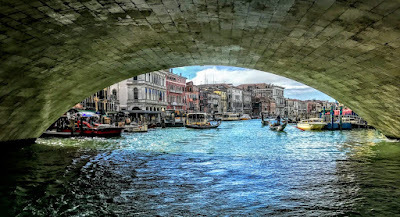 The Mayor of Venice, Luigi Brugnaro, has proposed a cap on day-trippers. Before the summer season began last year, crowd-control gates were installed at pinch-points in May to control the flow of tourists. When the crowds got too large, police closed the main entrances, limiting access to local residents and workers with a special pass. 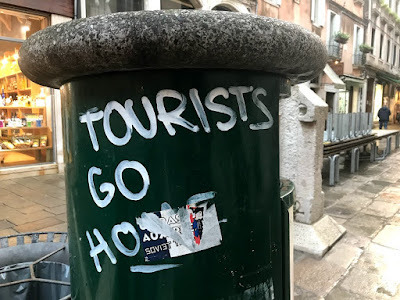 Today, there are more tourists and fewer residents in Venice, making many wonder whether Venice is in danger of drowning, not just under the waters of the Adriatic but under the flood of visitors who rise in numbers year after year. 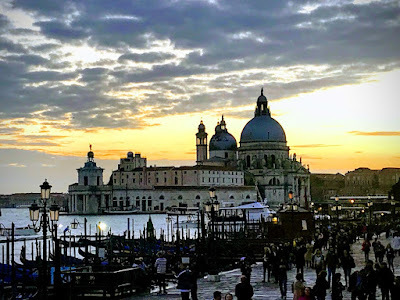 In a recent feature on tourism headed ‘Wish you weren’t here,’ the Economist recalled a study in 1988 that found Venice could hold at most 20,750 visitors a day – a figure that is about a quarter of tourist traffic 30 years later. Yet the increased demand has not been met by building better public transport. Venice has lost more than half its population in the past 50 years. Those who stay are left wondering how they can fight to reclaim and preserve their city. 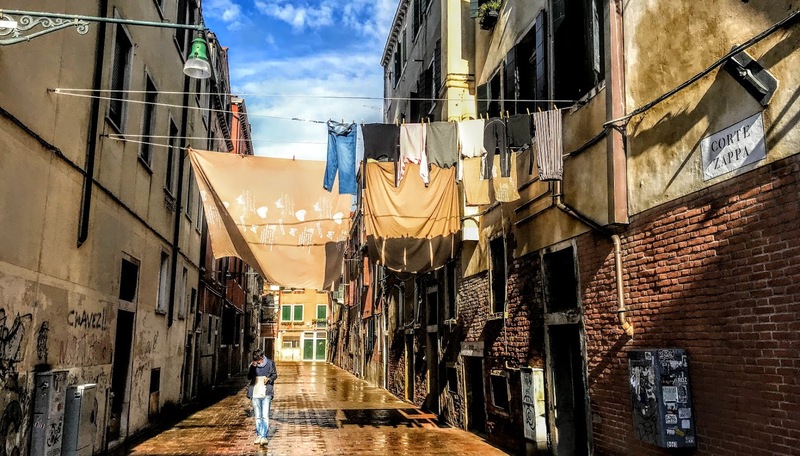 The resident population has dropped below 55,000 as Venetians find themselves priced out of their home city. If Venice is in danger of sinking, then it is in more imminent danger of shrinking. 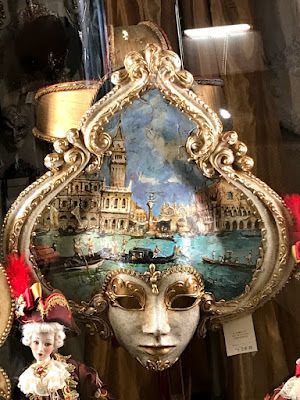 Venice has always been a popular destination, even before the ‘Grand Tours’ of the 18th century. Ever since the fall of the Venetian Republic in 1797, local people have complained that Venice is being overrun by visitors. 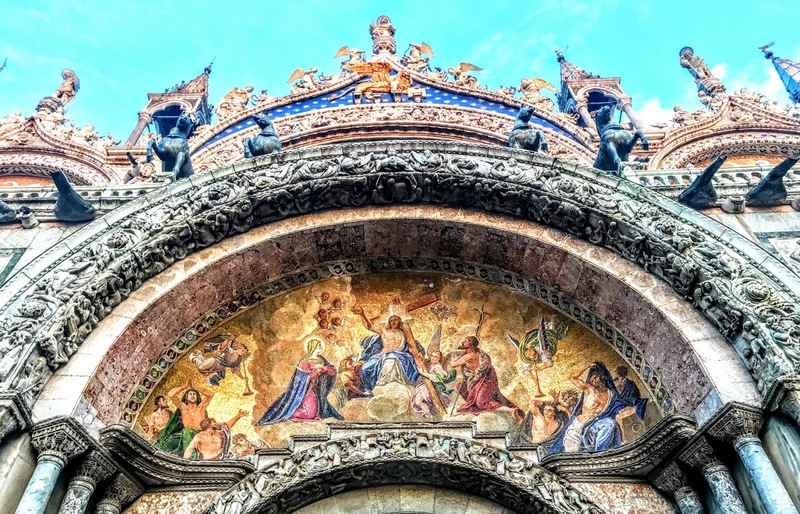 Napoleon wanted to own Venice, and ever since the Victorian era writers and artists have sought inspiration – and romance – in its waters and in its architecture. 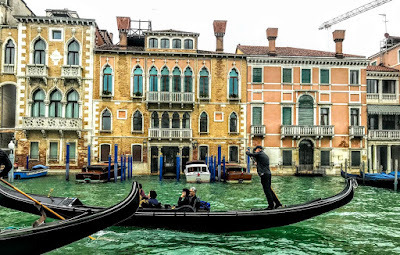 Ryanair, ‘selfies’ to post on Facebook and Instagram, cheap flights, and towering cruise ships now mean that on any given day that there are more visitors than residents in Venice. But the majority of visitors are day-trippers, and few stay overnight in the city. This means most of them spend their time and their money in the same small areas. Venice is a timeless city where no one has any real time for her. Many of the 30 million visitors a year are grab-and-go day-trippers, who seldom venture off the tourist trail to explore side streets and quieter piazzas. Small businesses and local shops are being replaced by souvenir stalls with cheap imports and fast food restaurants to cater for the day-trippers who prefer to munch rather than lunch and who are gone once darkness begins to fall. I had been to Venice on three or four day-trips in the past before staying for the best part of the week late last year. I watched dismissively what I could too easily see as hordes who had been disgorged from coaches and cruise liners early in the morning, follow the coloured umbrellas and flags from San Marco to Rialto, stopping only to buy cheap Chinese-made reproduction masks, and then leave in the early evening, imagining someone is going to switch off the lights when they leave. But why should the music of Vivaldi, the architectural musings of Ruskin and an interest in Byzantine art and history make my visits more culturally acceptable than the group of young women from northern Europe who want to enjoy a hens’ weekend in Venice or the young men who have come for a stag night or a football match? Day-trippers are important in any society. They go home with positive impressions, many want to read and learn more, and some will return. On a recent visit to Tangier, I realised that for many in the group it was their first encounter with a Muslim-majority or Arabic-speaking society. I had no doubts that they would return home with different attitudes, and perhaps even return to Morocco for a longer visit. However, in Venice frustration with visitors has grown to the point that last summer angry locals plastered the city with graffiti and flyers that scream out, ‘Tourists Go Home!’ Venice is dwindling away: around 1,000 residents move to the mainland every year, unable to afford rising rents, pushed to find employment outside tourism, or unwilling to live in a city that is losing a sense of community. Recent measures introduced to control tourism and protect the city include bans on new hotels and takeaway food joints in the historic centre. But Unesco’s concerns about cruise ships, mass tourism and damage to the fragile lagoon ecosystem have been met with empty promises and no concrete proposals. Tourism could be the problem, but it could also be a solution, not only keeping businesses alive but also making people aware of the crises that Venice faces and that must be addressed if Venice is to be saved.